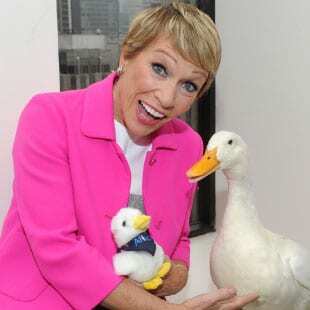 Barbara Corcoran Official Website, powered by Real Estate Webmasters! Barbara built the largest residential realty in New York, and now she’s a Shark on ABC’s hit reality show, Shark Tank. From her rags to riches story, to building a successful team, and taking you behind the scenes of Shark Tank, Barbara is a hit with audiences nationwide. 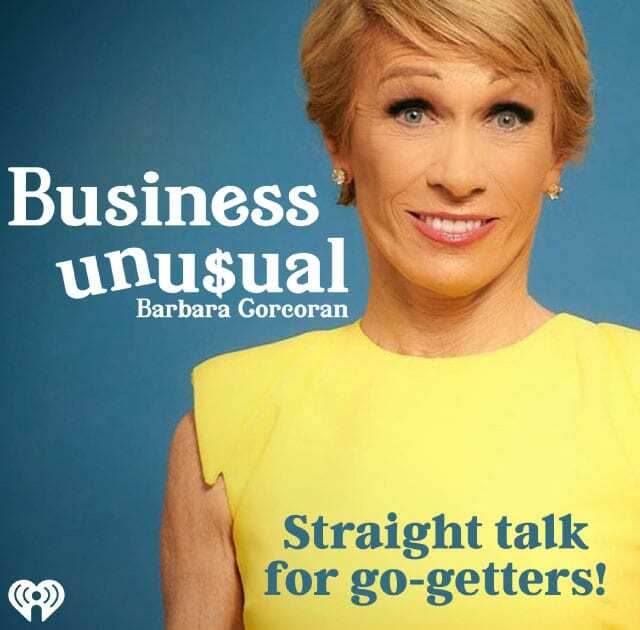 Business Unusual, featuring Barbara Corcoran, is among the top-ranked business podcasts with 8 minutes of straight talk for go-getters. 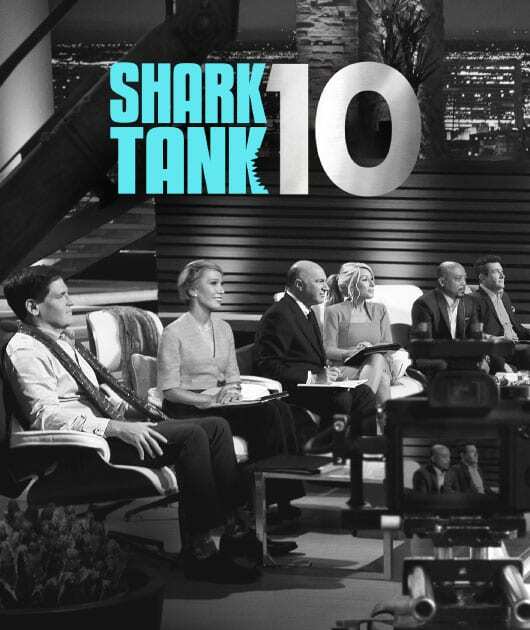 Barbara is a savvy investor on ABC’s 4-time, Emmy award-winning hit reality show, Shark Tank–now in its 10th season. Entrepreneurs, business managers and salespeople alike benefit from lessons on how to get people moving on the path to greatness. Barbara is an expert in the art of leading a team to success and in how to build a successful business. AIG, Avon, Bank of America Merrill Lynch, Barclay’s, Business Insider, Business Women’s Forum, California Association of Realtors, Cigna, Cobank, Coldwell-Banker, COX, Entrepreneur Magazine, Ernst & Young, First Commerce Credit Union, GE Ventures, Greater Boston Association of Realtors, Harvard Business School, Health Industry Distribution Association, HR Southwest, Inc Magazine, International Game Technology, JP Morgan, KPMG, McGraw Hill, Merrill Lynch Bank of America, Morgan Stanley, National Association of Professional Women, National Business Owners Corporation, The New York Times, PNC Bank, Price Waterhouse Coopers, Prometric, Xerox Global Business, TEDx, TEG Federal Credit Union, T-Mobile, Tennessee Tech University, Texas Mortgage Bankers, Thrivent Financial, Wells Fargo, Yahoo! 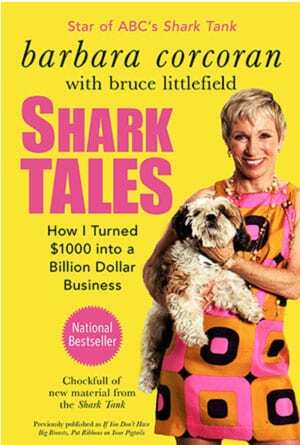 The inspiring true story of Shark Tank star Barbara Corcoran–and her best advice for anyone starting a business. After failing at twenty-two jobs, Barbara Corcoran borrowed $1,000 from a boyfriend, quit her job as a diner waitress, and started a tiny real estate office in New York City. Using the unconventional lessons she learned from her homemaker mom, she built it into a $5 billion dollar business. Now Barbara’s event more famous for her no-nonsense wisdom she offers to entrepreneurs on Shark Tank, ABC’s hit reality TV show. The book is down-to-earth, frank, heartwarming and smart. It ranks on Amazon as one of the best selling business books and has been published in 7 languages. on the heels of failure." Fill out the form below to book a Speaking Event. Fill out the form below to inquire about commercial endorsements.